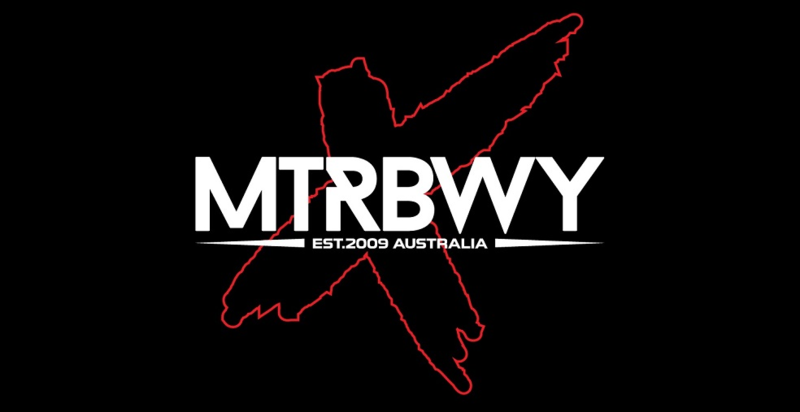 Fresh off their sold out national tour playing their biggest headline shows to date in support of their latest release, The Mortal Coil and performing with seminal down-under heavy heroes Parkway Drive, Polaris have entered 2018 with the Australian metalcore torch held high in their hands. 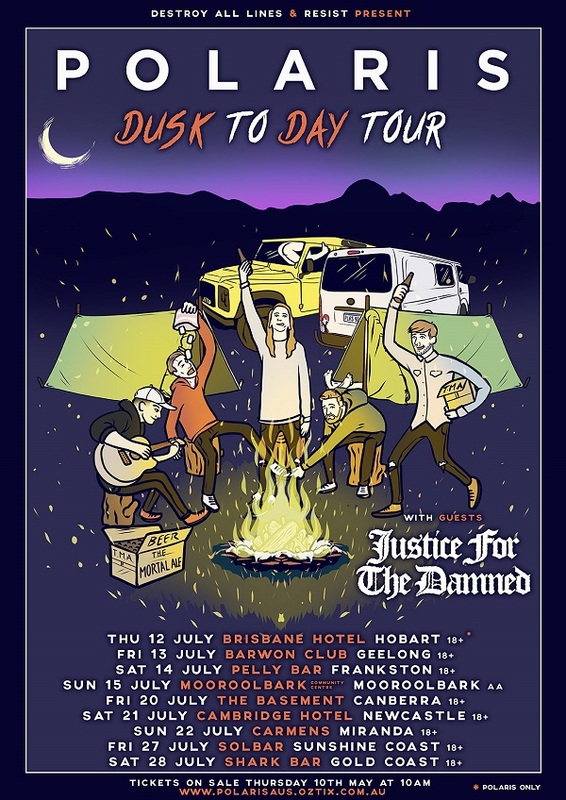 There’s no signs of slowing down as Polaris are thrilled to announce the ‘Dusk To Day’ regional tour in July with special guests, Sydney’s heavy five-piece, Justice For The Damned. One of 2017’s most anticipated heavy releases, Polaris’ debut album, The Mortal Coil stunned audiences and critics upon its release in November, landing at #6 on the ARIA Album Charts and #1 on the Independent Albums Chart, scoring a Triple J Feature Album – surpassing the already high expectations around the band set by 2016 EP, The Guilt & The Grief and its impressive touring cycle, which had seenPolaris gain a reputation as one of Australia’s most invigorating live heavy acts. Since the release of their 2017 Greyscale Records debut, Dragged Through The Dirt, Justice For The Damned have spent the past twelve months backing up every statement they have made. 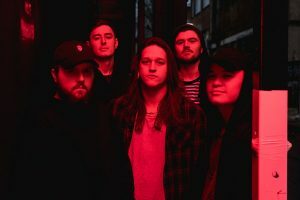 The Sydney heavy-hitters have toured relentlessly selling out multiple shows on their own headlining run, as well as supporting Miss May I and Thy Art Is Murder around Australia and supporting Thy Art Is Murder on a huge run of shows around Europe. Polaris are currently on their second European tour with We Came As Romans, building from their performances on the Impericon Never Say Die Tour in November, 2017. 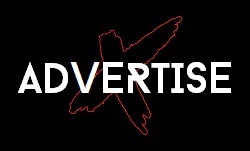 2018 is the year that we see Polaris cement their place in the global scene among Australia’s most elite heavy music exports. Get your metal horns ready and grab yourself a ticket to what promises to be one of the most mosh-sweaty tours of 2018.